Merit making and life prolonging ceremonies celebrating the 714th year of Chiang Mai city’s foundation were organized by the Chiang Mai Provincial Authority, the Chiang Mai Municipality, Chiang Mai Youth groups, Buddhist monks and Chiang Mai residents and held at 9:09 a.m. on June 3. 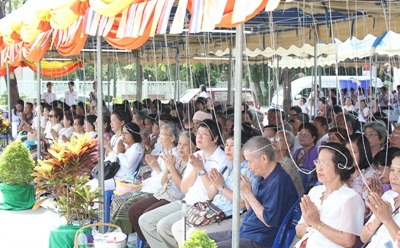 Ten different locations around the City moat hosted the simultaneous merit making ceremonies with the two main locations being Three Kings Monument, where Chiang Mai Governor Amornphan Nimanant presided over the ceremony and at Tha Pae Gate where Chiang Mai Mayor Tassanai Buranupakorn presided over the event that saw sai sin (sacred cord) wrapped around participants and the entire landmark site, to keep out evil spirits and bad luck. Held at 10 different locations, at each of the City gates, at Three Kings’ Monuments, and at each of the corner fortresses; Chaeng Sriphume fort, Chaeng Katam fort, Chaeng Kuhuang fort and Chaeng Hualin fort, the ceremonies are held every year on the 6th waning moon and the 9th month of each year based on the Northern calendar, normally falling in May or June. The merit making began at 6:00 a.m. with food and desserts prepared for 9 Buddhist monks and donation tables. The monk’s prayed and recited the teachings of Buddha; this was then followed by the offering of alms to the monks. 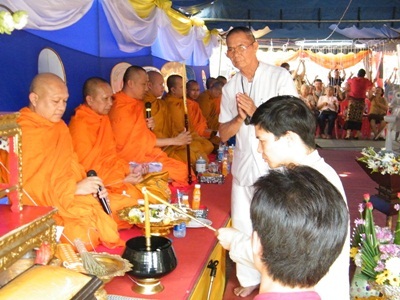 At the end of the ceremony, each participant pours some water over their finger, a symbolic offering that the essence of all food and drink given to the monks will be transferred to the spirits of past Kings of Chiang Mai. It is believed that the ceremony brings good luck, prosperity and morality to the City and develops a sense of being Thai. This ages old ceremony, held every year, sees residents join with monks to honor and pray for the continued life of their City. to Koko and Brian, she was named by a 5 year old girl in a contest. 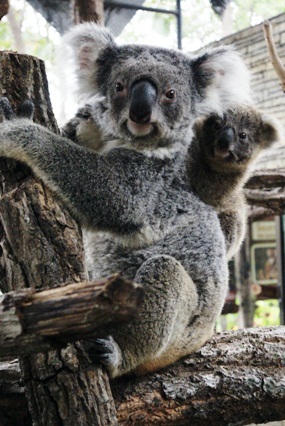 Chiang Mai Zoo picked the name ‘Nong Prong Dong” or ‘Reconciliation’ from 496 submissions in the ‘name the baby koala’ contest for the koala bear born on February 22 of this year. 5 year old Lapassarada Mung-opas of Nonthaburi came up with the winning name. She won 10,000 baht and a lifetime membership to the zoo. The judging committee comprised seniors from Chiang Mai schools and members of the media. 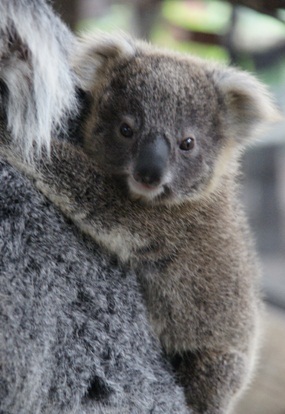 Niphon Wichairat, Assistant Director of Chiang Mai Zoo said the name reflected the current climate in Thailand and that the baby koala should remind Thai people to live in harmony with each other. Lapassarada’s mother, Wilasinee Mung-opas, was happy her daughter’s name had been chosen, hoping that this would help unite Thai people. Students from Just Dance perform at the press conference at JJ Market. The 4th JJ Talent Competition 2010 will take place on June 13 at JJ Market it was announced on June 2, this year’s contest will feature singing, dancing and music with a goal to showcase contestants creative abilities. There will be three categories; singing, dancing and musical talent divided into two groups by age. Students from Prathomsueksa 1 to Prathomsueksa 6 grade are in the first category and Mathayomsueksa 1 to Mathayomsueksa 6 grade in the second category. Thai and international school students from Chiang Mai will be taking part in the competition. The event, supported by the Doing Good Deed Every Day project from DTAC and JJ Market Project and be will be held at JJ Market from 4.00 p.m. - 8.00 p. m. every second Sunday and the last Sunday of each month, starting from June 13 until the final round of the contest to be held on December 12, this year. The winning prize for each category will be 20,000 baht in cash and other valuable prizes will be rewarded to runners up. The talent competition gives students a chance to perform for their friends and family and to support each other in their creative endeavours. Thousands of tour guides in Chiang Mai are currently jobless due to the political and economic crises in Thailand. Tourist numbers have dropped to 10 percent of normal and the remaining guides with work find themselves working about 3 days a month on average. Around 4,300 guides are out of work, according to Somrit Hikham, the President of the Chiang Mai Guides Association. 300 representatives of tour guides in Chiang Mai met at the Mercure Hotel on June 1 to discuss the proposal they plan to submit to the government. 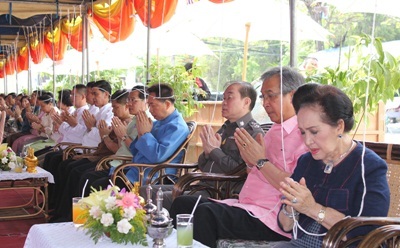 “Members of the Chiang Mai Guides Association met to compile a list of the problems we face and submit our demands to the Minister of Tourism and Sports and Prime Minister Abhisit Vejajiva through the Chiang Mai Provincial Industrial Federation,” President Somrit said. “Initially, we will ask for the Government to help allow guides to get access to the services of the social insurance system, and would also call for the Guide Cooperatives to help take care of more than 40,000 guides throughout the country,” he added. The tour guide profession is one of 33 protected careers reserved for Thai nationals. The Safari Club’s first project, Young Zookeepers, held along with Grace International School at the Chiang Mai Night Safari was so successful that they plan to hold another one beginning in August. Dr. Sarawuth Srisakul, the Manager of the Night Safari, presided over the closing ceremony and presented certificates to those who had graduated the course curriculum at the animal hospital in the Night Safari on May 31. The Safari Club activities, under the project “Young Zookeeper” were held with the intention of promoting and creating public awareness on natural resources and wildlife preservation through outdoor classes. Mr. Mark Hunter, a teacher at Grace, took responsibility for organizing the project with the Night Safari management, wanted the young people to understand the importance of the bonds between man, wildlife and nature. Students took part in preparing food for the animals, cleaning up the residential areas of the animals, and took part in a training course on being a junior guide at the Night Zoo over the past four months. An Army officer worked as a mediator to bring leaders of the Yellow shirt and Red shirt groups together to reconcile in Pai district in Mae Hong Son on June 3. Maj Gen Prasith Kaewkamnerd of the special task force of the7th Infantry Regiment, in Mae Hong Son brought Samart Chumrod, the chairman of Red shirt group and Somkiart Somchit, a leader of Yellow shirt group in Pai district to meet each other and shake hands. The two leaders agreed to stop their political rallies and to work together in an effort to improve the atmosphere in the town. Kamnans, village headmen and community leaders were on hand to witness the meeting. “Both of them were willing to agree on reconciliation and non-violence. Both want to work together for everyone’s benefit,” said Maj. Gen. Prasith. 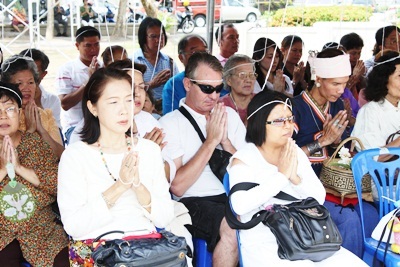 Recent political demonstrations in Pai have had an effect on tourism to the area. Samart said that the recent protests had created disharmony among Thai people and that rallies needed to be stopped so that the show of unity would help to bring tourists back to Pai. Somkiart, of the Yellow shirts, expects the climate for tourists to improve in Pai. “There will be no more conflicts between the Red and the Yellow shirt members. We will join hands to help restore the nation and society following His Majesty the King’s philosophy on economic sufficiency as a guideline for living,” he concluded. More than 31 homes in the Mae Chan district of Chiang Rai suffered damage in a severe windstorm that hit on the night of June 3. Damages are estimated at more than a million baht. Chettha Mosikarat, the head of the Chiang Rai Public Disaster Prevention and Mitigation Office, accompanied by local Mae Chan administration officials inspected the damaged homes in Ban Sannayao the following day. Most of the 31 damaged homes suffered from destroyed tile and zinc roofs, and 3 farmers sustained serious damage to lychee and longan orchards, however no injuries or deaths were reported. Mrs. Boonniem Khanthano, 52, a victim of the storm, said that the wind blew in very fast and strong wind, which woke her up around midnight. The roof of her house was blown off by the storm and the family had to move into the ground floor to escape the strong rain and wind. She said that this is the worst storm she has seen in 30 years. Mrs. Woranuch Saengnoomnual, the President of the Chiang Rai Provincial Red Cross made sure that essentials were sent in, roof tile and panels of zincs were also provided to help replace the roofs of the damaged homes. Permpong Chawalit, Deputy S ecretary-General of the Office of Narcotics Control Board discusses the drug trafficking problem in three Northern provinces at a recent ONCB sponsored workshop. The Maejo Golf Club and Resort in San Sai district hosted the workshop that was held May 25 and 26 and organized by the ONCB. 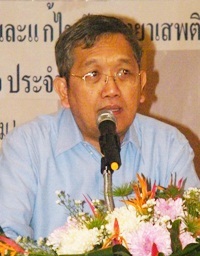 Permpong Chawalit, Deputy Secretary-General of the ONCB presided over the event. He recommended that the ONCB Region 5 coordinate with other agencies involved in ensuring that policy is implemented in line with the ONCB. The Deputy Secretary-General said the workshop would clarify to all agencies involved their areas of responsibility, and would develop strategic plans specific to each area and agency to target drug routes, reducing the expansion of the drug trade and concomitant drug use. The workshop will increase support for high risk communities, particularly those 14 districts in three Northern provinces that have serious drug problems and drug smuggling; Chiang Mai, Chiang Rai and Mae Hong Son. Chiang Mai police searched the Krachang Sports Shop and found pirated sportswear, shirts from famous football clubs, World Cup 2010 sportswear, shoes and more. The police reported about 3,468 fake and pirated sportswear worth more than 3 million baht had been seized in the raid on June 3. The Chiang Mai Provincial Police, Region 5, in cooperation with the Suppression police in charge of intellectual property violations were issued a search warrant for the Krachang Sports Shop on Arak Road in Phrasing. The police said there were about 3,468 sports wears, worth more than 3 million baht. The police charged the owner of the shop, Jedsada Thewanukul, 27 of Sarakham province with possession of goods in violation of the copyright laws. Jedsada was detained at the Provincial Police Bureau Region 5 for further questioning. A Chiang Mai Municipality Council member revealed at the June 1 Council meeting that “influential persons” collected money from rental stalls and shops selling goods near the Waroros market in an area that was currently under government jurisdiction. The first Chiang Mai Municipal Council meeting in its second ordinary term this year was held on June 1 at the Municipality’s conference room with Kasem Parameesilapakhajorn, the Council Chairman, presiding over the Opening ceremony. 20 of 22 Council members attended. The fiscal year budget was to be reviewed after Governor Amornphan Nimanant sent it back to the Council unapproved. However, Municipal Council member Suthas Srilorm informed the Council that the public park area at the State Railways of Thailand had just been completed and opened for the public following public complaints about its disrepair. He added that public was unable to use the public park near Waroros Market as vendors had blocked it off with tents and the rest rooms were very dirty and neglected. Additionally, he said he had received complaints that a man named Hia Ko was collecting money from vendors who had put up tents in the public park, but that the money was not going to the maintenance of the park and that he was unaware as to where the money was being used. “The money collected from vendors at the park should be going to the municipality to fund local development projects,” Suthas said. “We would like to ask the Mayor to help in this issue so that the public parks can be managed by the Municipality, to clean the area up and manage the vendors. The park should be a place for the public to use for relaxation and recreation,” Suthas continued. 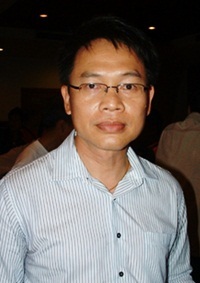 “We do not want to see any more “influential persons” in the Chiang Mai Municipal areas,” he said. Mayor Tassanai Buranupakorn said that he would assign the Deputy Mayor, Natthachudej Viriyadiloktham, and his officials to look into this case immediately. Some Council Members supported Suthas claim, stating that it was known that bribe collection had been going on in the area for some time, but when the issue had been brought forth at previous Council meetings no administrator had taken direct responsibility for tackling the problem. The Council Members expressed concern that the issue needed to be dealt with so as to avoid the same problems that had confronted the Night Bazaar in the past. 82 illegal immigrants were arrested by the Chiang Rai Marine police in 3 districts of Chiang Rai on June 2. 30 of the immigrants arrested in Chiang Saen, Chiang Khong and Wiang Kaen districts were from Myanmar, a further 47 from Laos and 5 were from North Korea. All 82 have been charged with entering the country illegally and were detained at Chiang Saen Police station for further investigation as police believe that some may be responsible for bag snatching and theft in Thailand. The Marine Police Division has ordered the Marine Police in the northern border areas to step up patrols as many illegal immigrants continue to cross over the border to work illegally in Thailand. There have been numerous cases of North Koreans found to be crossing the border into Thailand in recent years. Most end up with the Embassy of the Republic of South Korea. Two small bombs were set off in Chiang Mai, the first on Sunday night, near the police station on Ratchadamnoen Avenue, near the Walking Street Market on May 30 and the second was a small homemade bomb on Witchayanond Road near the Waroros market on Tuesday, June 1. No injuries were reported. The first explosion was suspected by police to be a large firecracker as scattered paper was found around the area of the explosion that took place just inside Soi 6 at 8:30 p.m. Motorbikes parked near the scene were damaged but no injuries reported. The loud bang and flash caused by the explosion scared many of the shoppers that throng the nearby Walking Street Market. The second explosion occurred near Waroros Market as witnesses reported seeing two men on a motorcycle toss the homemade bomb onto a pile of rubbish around midnight. The pile of rubbish caught fire, but was quickly extinguished by area residents and no injuries were reported. Police believe both incidents could be from a group or groups intent on causing chaos in the city due to the recent political crackdown. Police continue to investigate the crimes and intend to step up security measures in order to keep calm in the city.